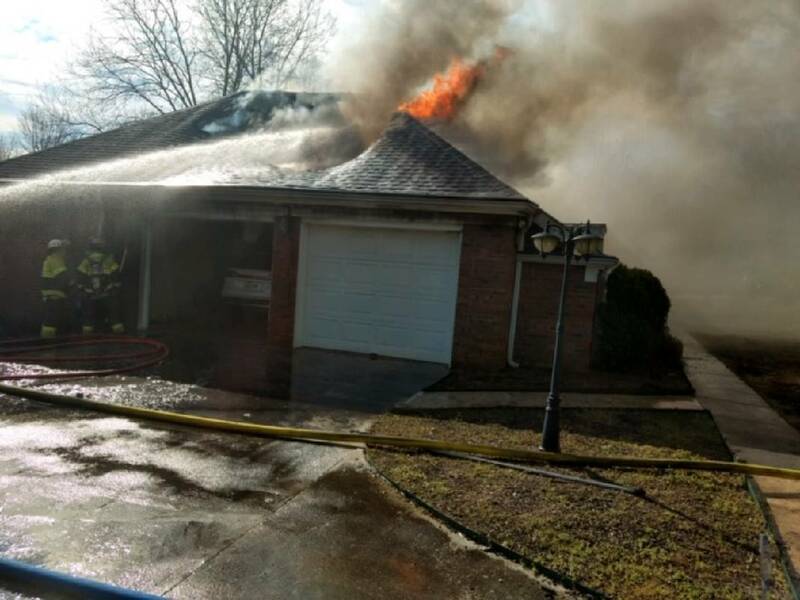 A fire destroyed an Ooltewah family's home this afternoon at 6430 Paw Paw Trail, according to a release from Hamilton County Emergency Management and Homeland Security spokesperson Amy Maxwell. The fire was reported at 4:20 p.m. Tri-Community Volunteer Fire Department responded, saw flames coming from the roof and called for assistance. Highway 58 VFD and Chattanooga Fire Department responded to the fire while Bradley County Fire Rescue and East Ridge Fire Department went to Tri-Community's District for any additional emergency calls. Hamilton County Marine Rescue responded for rehab, according to the release. Firefighters entered the home but were soon ordered to evacuate as the structure became unstable and partially collapsed. Responders worked to keep the fire from spreading. The home was a total loss with damages estimated at $350,000.